Near Lourdes and the “Pic du Midi”, Val d’Arizes company which is located next to Bagnères de Bigorre, a pleasant French thermal city, is especialized in knitting the « Tissu des Pyrenees » for more than thirty years. This material is well-known and appreciated for its many qualities : warmth, softness, lightness and comfort. The “Tissu des Pyrenees” is made by means of the finest wools in our workshops on Rachel looms, in merino sheep or alpaca wools. 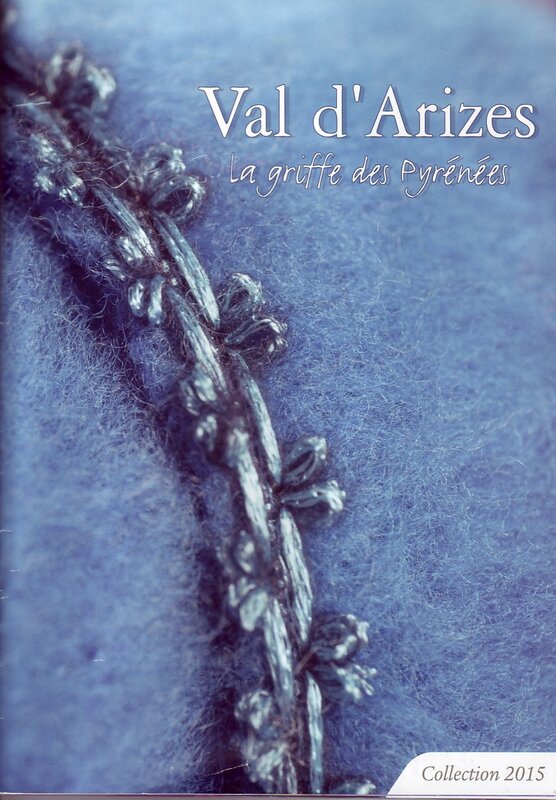 A large range of products like jackets, dressing-gowns are manufactured by Val d’Arizes dressmakers for ladies and men. Scarves, plaids, shawls, ponchos, capes, waistcoats, pullovers… complete the range of our clothes in pure wool. Our know-how, combination of technicity and craftsmen, makes the “Tissu des Pyrenees” an authentic and natural material made in France. We also manufacture technical materials on Rachel looms, combination of knitting and weaving. We propose two outdoor ranges : “CAMOUFLAGE” for hunting, fishing and naturalistic photography. “GARDEN” with indestructible and laderproof hammocs.